I’m sharing some of my new favorite cleaning products today, plus a giveaway just for you! 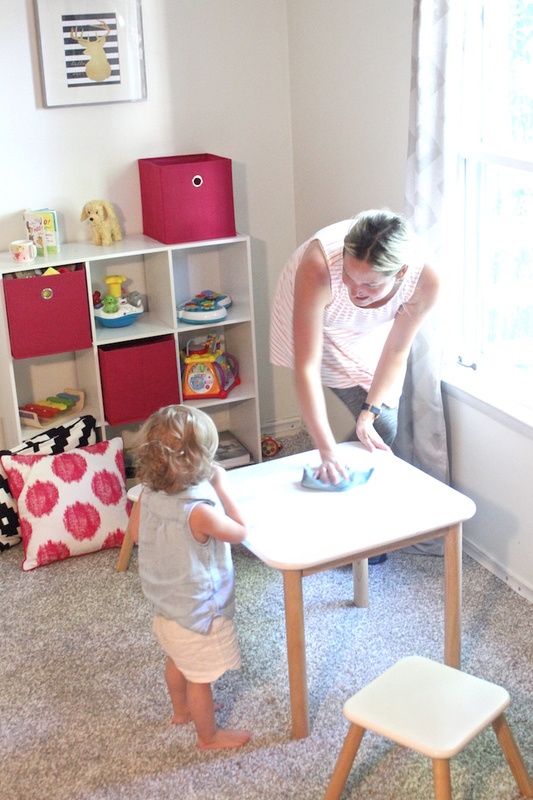 As a busy mom with 2 little ones and working from home, I will take all the help I can get when it comes to cleaning. These e-cloths arrived and they did not disappoint! 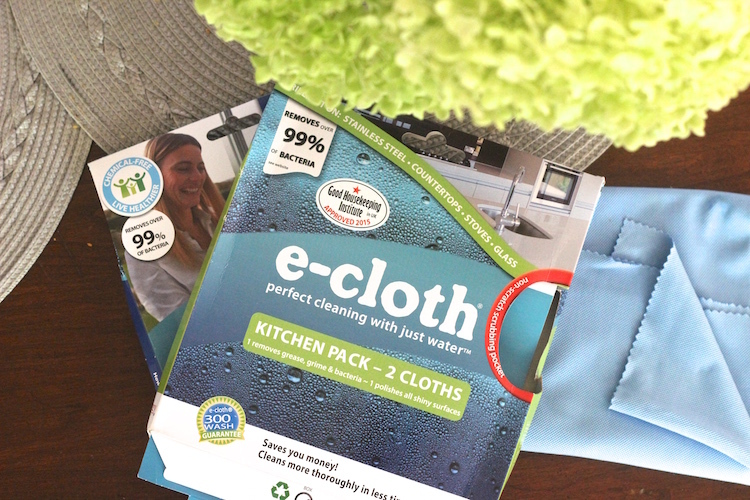 E-cloth sent me a couple cloths to try out. After doing a little research online before the cloths arrived in the mail, I discovered they had AMAZING reviews on Amazon (almost 5 stars and 1,000 reviews). That’s really hard to get and I was really excited to try them out myself. 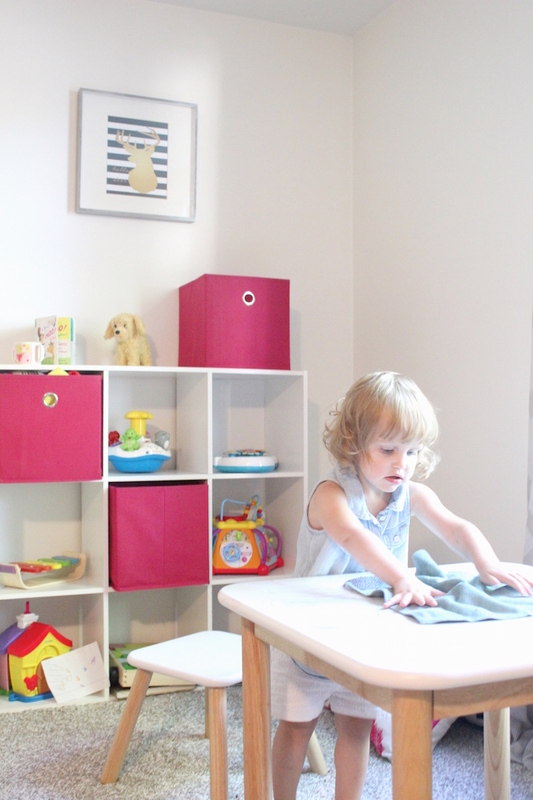 Since having kids, using eco friendly products has become very important to me. 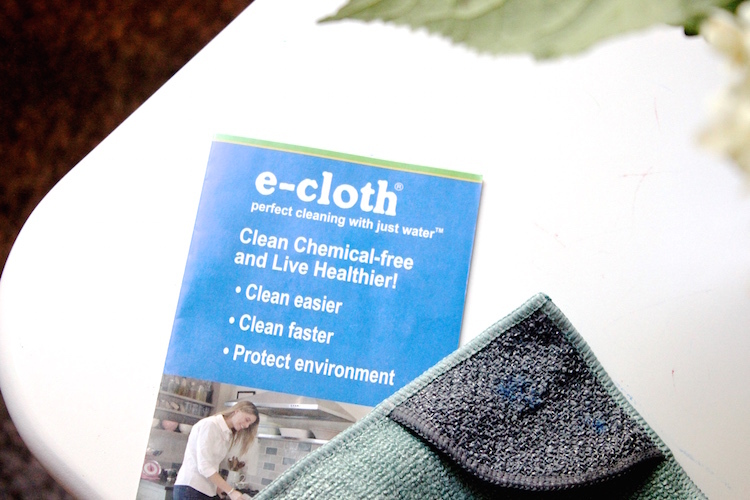 The e-cloths do not include any toxic chemicals and you just need to add water to use them. Another awesome perk? You can wash these 300 times. 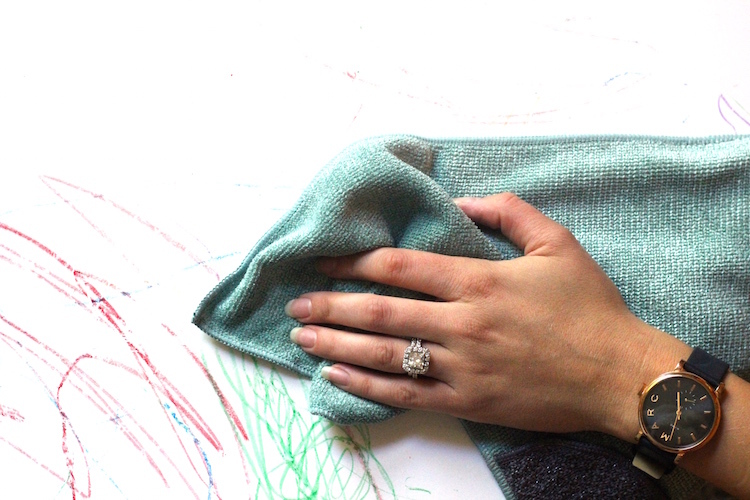 Chemical-free, machine washable, and easy to use – YES, YES and YES! At first, when the e-cloths arrived, I will admit I was a little intimated by the packaging. There seemed to be a lot of instructions, including multiple steps. I had just gotten home from the hospital after giving birth when my e-cloths arrived in the mail. I was exhausted but still eager to try out my new cleaning supplies. 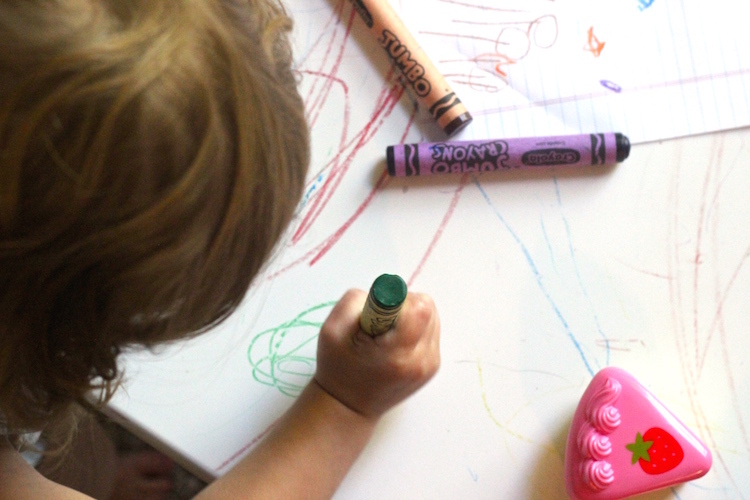 I previously tried to clean up the crayon with paper towels, sponges, etc to get it off. Nothing worked after I had scrubbed and scrubbed. To my shock (and delight!!) the e-cloth took the crayon off easily!!! 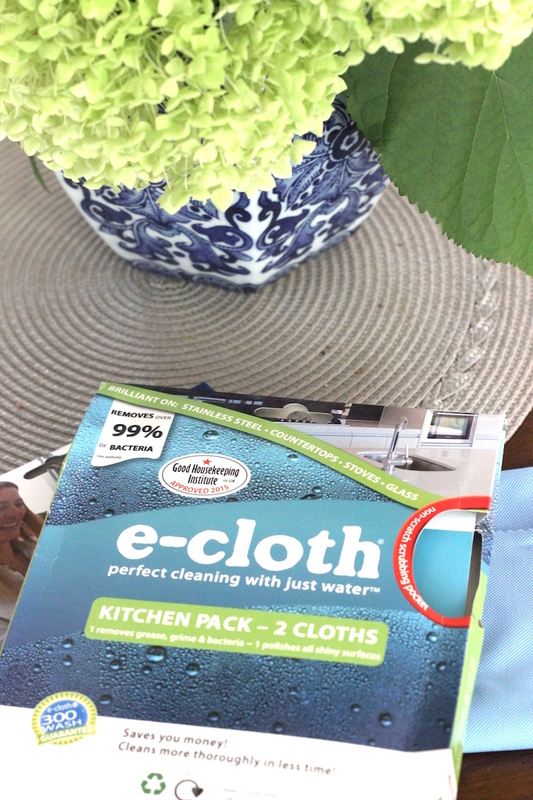 The e-cloths also worked fabulous in the kitchen and windows. My windows sparkled after using their window cleaning cloths. 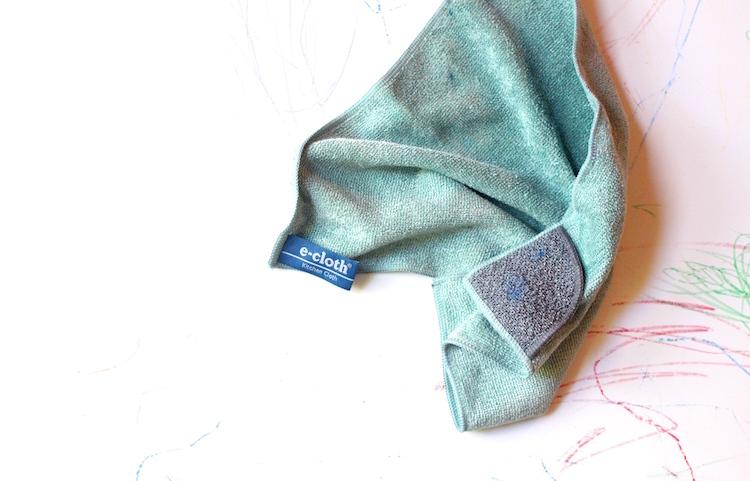 I can’t recommend this product enough and because e-cloth is so wonderful, I’m giving a set away! Winner will be selected next week. You can also sign up for e-cloth’s newsletter here to receive promotions and updates. 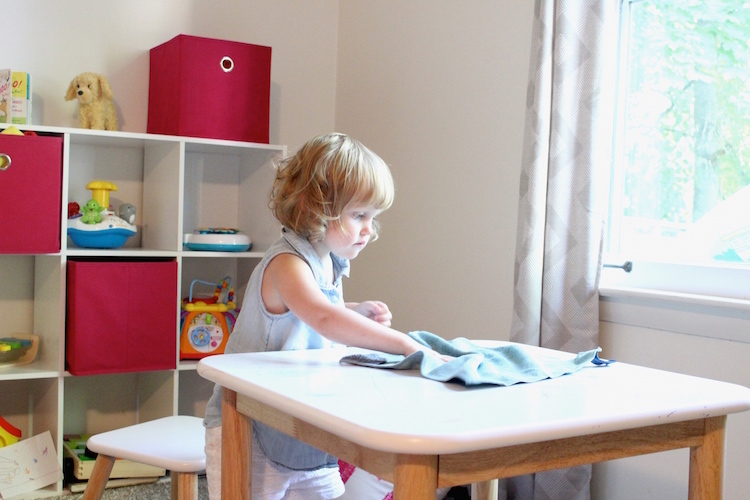 I used the e-cloth kitchen wipes and was very happy with the results! I was there and witnessed it all! Yes, they certainly work well! ???? Always looking for something to help with cleaning. Need something eAsy to use and get the job done the first time. Id be curious to try these Sam! I’m using Norwex now and wonder how these rack up! I ave used these and wow, I am major impressed. Please count me in! Signing up for the newsletter! These cloths look so handy!! I put everyone’s name in a bowl and had Taylor pick the winner…… and CONGRATS to Maribeth! I’ll send you a private message 🙂 Hope you enjoy the e-cloths and thank you to everyone for entering!